A dark room in a filthy motel. A criminal and an unexpected visitor. 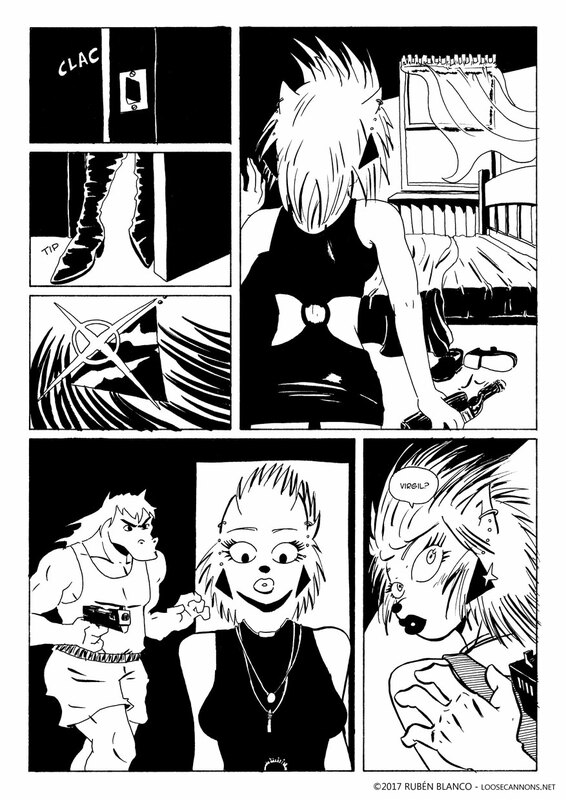 While I was drawing this page, I felt like inking it Frank Miller style.